This month seems to be all about the learning and the teaching doesn't it? And how very appropriate for the Autumnal back-to-school season! This week and next I have the absolute honour of teaching alongside Holly Becker and Nichole Robertson on the Decor8 Blog Boss workshop. Excited really doesn't quite cover it. But for once I have, rarely, run out of words. 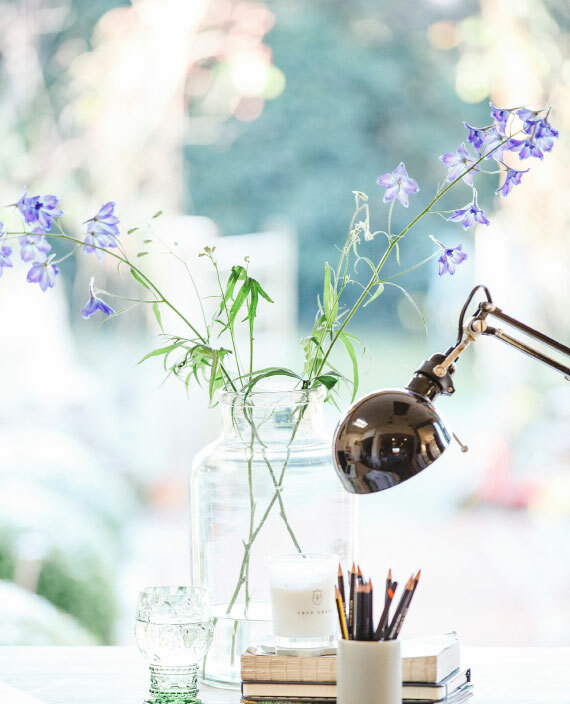 For those of you that aren't familiar with Holly, she is the author of three international bestselling interiors books; the founder and creator of Decor8 blog (with a mind-blowing 1.2 million page views per month) a stylist and journalist. She's a real trailblazer for women wanting to create successful businesses from their blogs and founded Decor8 back in 2006 so as you can imagine, she very much knows her stuff. Holly has long been a real inspiration to me and it's been so good to get to know her more on a personal and business level. It was taking one of Holly's Blogging Your Way classes back in 2009 that was the catalyst to me finding my voice, showing me that a business blog didn't have to be boring and creating a blog that really reflected me. Given that my blog was such a key part of my business model in my old company I have a lot to thank Holly and her classes for. When she approached me to teach with her back in the Summer I was thoroughly blown away. I love collaborating with people and teaching alongside Holly was one of those lovely bucket-list goals that I didn't quite expect to happen just a couple of months into launching my new business. I'm teaching two classes: the absolute essentials of colour psychology and some work-life balance and goal setting lessons next week and so far we are having a blast. The students are so lovely, as I knew they would be. The feedback has been so positive and it's been great to see so many virtual lightbulbs pinging! And Holly is great to work with: supportive, encouraging and fun. We've had lots of super-fast exchanges of emails and I love that because I think very quickly and it's great to work with someone as spontaneous and focused! I'm really looking forward to seeing what she has up her sleeve next. Lots of love and thanks must go to my friend, the fabulous Matt Pereira who has worked tirelessly with me to prepare my intro video as well as another I'll be sharing with you in a few weeks... Have a great weekend all. Update. My teaching is now over and I have to say, I've loved every moment. Here are some of the blog posts the students have written about my lessons (and if you've written one please do let me know and I'll include yours too...). I loved Maggie Overby's observation that the seasonal personalities are 'kind of like your own personal horoscope'! What a very lovely (and flattering) writeup from Georgie StClair. Gorgeous colours in this post by Anette of My Rose Valley. And the pinterest board with some of the students' mood boards. 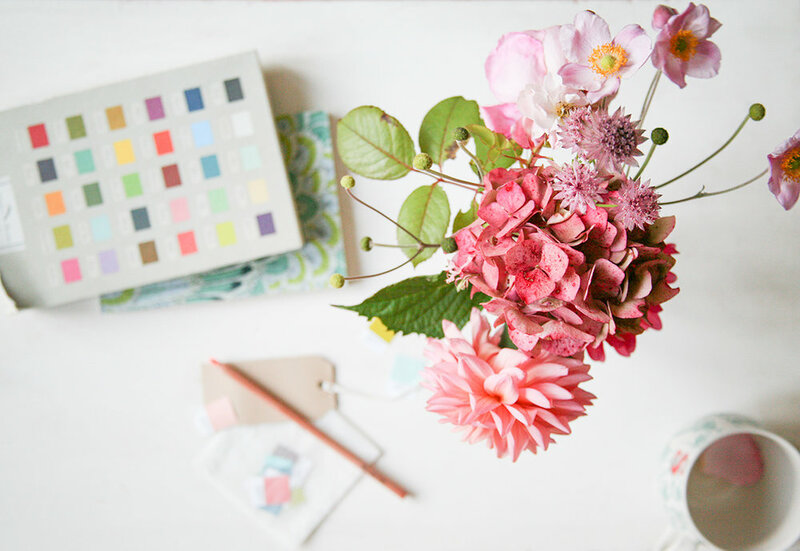 A really inspiring post from Leslie, Fawndly and Hart with a lovely new look for her blog.